In a notable move, Iran’s Foreign Minister, Mohammad Javad Zarif, has used his English-language social media platforms to shift away from an earlier hardline stance on the Syria question and move towards a more moderate approach that reflects the line taken by President Hassan Rouhani. The departure from the highly-charged rhetoric of the “hardline” factions in Iran — as conveyed to an English-speaking audience by outlets like Fars News and Press TV —is notable, as is the fact that Zarif appears to have pulled back from his earlier stance on the chemical weapons incident. Zarif, who joined Twitter only last week — a move that Rouhani said he encouraged, used the platform to make two points: that he condemns the use of chemical weapons but questions whether the use of force against the Assad regime is an appropriate response. unequivocal rejection of #chemicalweapons, militarism and impermissible use of force. some thoughts http://t.co/7lu9kBtD2r. tragedy in syria is a trap to push a reluctant Pres Obama into war. remind that might & force confer no credibility; law & legitimacy do. It is significant that in these remarks, Zarif — like Rouhani — does not point the finger of blame at the insurgency, as IRGC and military figures have done. Nor does he accuse Obama of acting aggressively or like a warmonger, suggesting he is “reluctant” to authorise US military intervention. 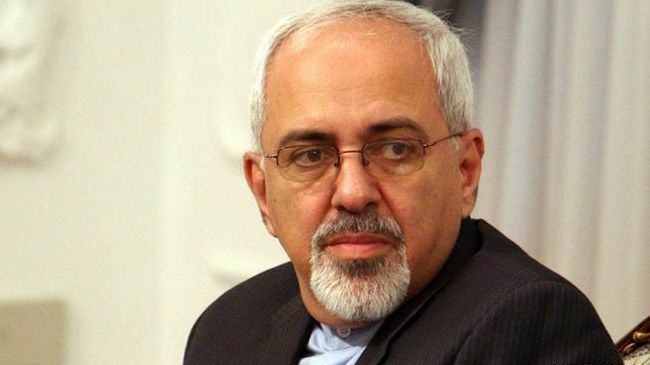 Instead, Zarif poses six questions in which he discusses the legality of the use of force. After noting that the international community did not respond by threatening to bomb Saddam Hussein after the then-Iraqi leader used chemical weapons against Iranians, Zarif asks whether the use of force against Syria is really the only option, or whether such a threat “represent[s] the paradigm and the mentality that have helped to create this humanitarian tragedy and political catastrophe”. Is every nation with military might allowed to resort to war or constantly threaten to do so against one or another adversary? Isn’t the inadmissibility of resort to force or threat of force a peremptory norm of international law? Is there any place for international law and the UN Charter at least in words if not deeds? The Foreign Minister goes on to ask whether the UN Charter is relevant — is it “wishful idealism” or “a legal reflection of a political reality”? Zarif’s post — which has so far gained over 4,000 “likes” — has created a lively debate on Facebook, with many Iranians participating. Yes, any use of chemical weapons must be condemned. but I’m wondering how come our government support Assad after his use of chemical weapons against his own people that killed more than 1,400 in a Damascus suburb? Don’t you think that Iranian government should stop supporting dictator of Damascus and care about our national interests instead of involvement in the Syrian civil war? I think, now is no time for being a fundamental question maker dear dr. Zarif. Its now all about sharp and correct diplomacy and finding clues to reach to a better condition. There is a turkish proverb says: When the monkey is drowning into the water, takes its child under his legs preventing the sink. We are the monkey and Syria is the kid. Another Iranian praises Zarif for making the Facebook post, and for being available for discussion in this way — but politely asks whether he can write in Persian next time. Dear Dr.Zarif : As you know, unfortunately many of Iranians can’t read English texts which you status here. So I suggest that if you status an English text, please insert it’s Persian form too. Any way, very well thank you because you are the only governmental man which we can contact him in this 34 years !! !